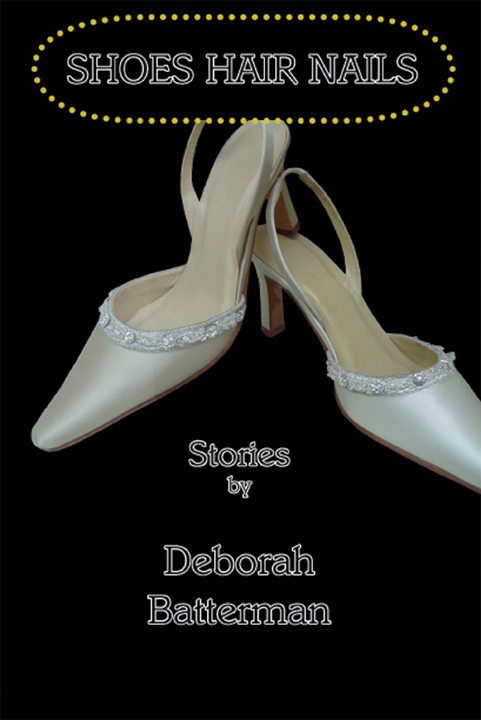 SHOES HAIR NAILS by Deborah Batterman is an evocative short story collection laced with truth and a touch of sorrow. Batterman’s book is an intricately woven work of stunning depth. It’s full of diverse characters with universal challenges, and the “it is what it is” way that they accept their realities is honest and true to life. I found myself setting the book aside after each story in order to fully digest the content. I raved about it to several girlfriends and even my mother. It has certainly been a while since I was touched by such a powerful collection. While each tale has its own unique voice and strength, my favorites were “Hair” and “Crazy Charlotte”. Both had to do with young girls and the quirky, free-spirited women that influenced their lives, but that is where the similarity ends. These stories not only made me feel, but they stayed with me long after I read them. Deftly written and infused with equal parts beauty and heartbreak, this is a wonderful collection about family, lost love, and the enduring strength of women. It was truly a pleasure to read, and I would recommend it. A hearty second for your eloquent review, Mercedes! I have followed Deborah’s work for some years. Her thoughtful wrestling with expectation and acceptance is a portal for us to access our personal relationships and our relationship to humanity. What I appreciate most about Deborah’s fiction is the symbolism inherent in everyday things, which takes on more and more importance as the story rises to its climax. Deborah is a magician of the finest caliber!